Currently on vacation in Värmland, Sweden, I haven’t had much time on the computer but I used up a few hours for this the 46th edition of the Fourth Stone Hearth blog carnival. 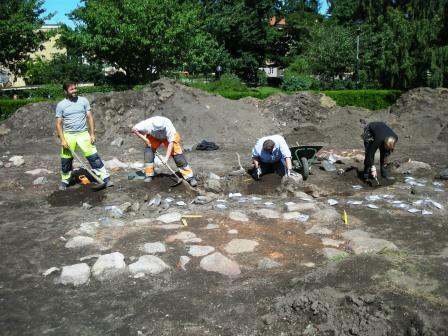 The last few weeks I’ve been working on an archaeological dig in Linköping, Sweden. While being in Linköping I visited several of the scenic spots there, see this post on the underground Romanesque church St Lars. There is more to come in the near future as I also visited a few of the medieval cellars. 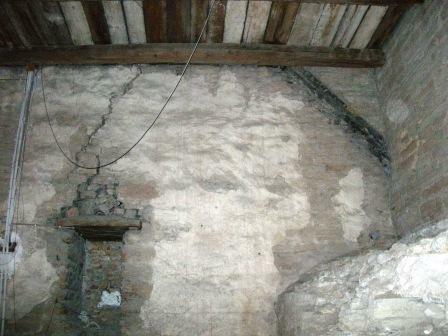 This picture was taken in one of cellars from the 14th century and the home of some rather large spiders, ca 3 cm long. Remote Central gives us a post on a marine archaeology project; that aims to find traces of the first Americans, under water in the Gulf of Mexico. On a medieval note one can find shelter in A corner of Tenth-Century Europeand read about feudal transformations. This post is a summary of a longer discussion on the topic and gives lots of interesting links on the subject. At Hot Cup of Joe one can find an interesting post originally written for The Giant’s Shoulders blogcarnival, the “Classic Papers” category with the title: A Classic Paper: Archaeology as Anthropology. It is post on a classic article: Lewis R Binford’s Archaeology as Anthropology printed in American Antiquity, 28 1962. This post gives you a quick look into Binford’s view on archaeology (New Archaeology aka Processual archaeology) and also presents a new blog carnival; the fist edition of the Giant’s Shoulders. Continuing on the blog Hot cup of Joe there is another post of interest; on prehistoric monuments such as mounds and in this case the Serpent mound in Ohio. I got a tip about a video review at Remote centralon a video with palaeoanthropologist Louise Leakey, a member of the Leakey family that for over three generations that has been hunting fossils of our most distant hominid ancestors in the Rift Valley of East Africa. In the blog Bad Archaeology I found a link to a great post at the blog Oddee on the 10 most amazing Ghost towns. At Bad ArchaeologyI found this post on the famed “Capitoline Wolf”. It has been 14c-dated to the Middle Ages which differs a lot from the previous beliefs that it was from ca 500 BC. Read all about it here! Archaeozoologyhas a post on Integrating Phytoliths within Use-Wear/Residue Studies of Stone Tools. 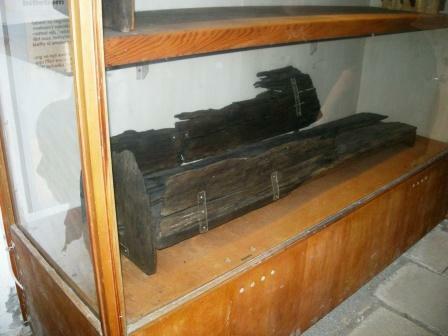 The obsidian artifacts comes from two sites in the West New Britain Province, Papua New Guinea. Anthropology.net has an interesting post with the title; Why There Is Such A High Percentage Of Amerindian mtDNA And European Y-Chromosome Signatures In The Caribbean? 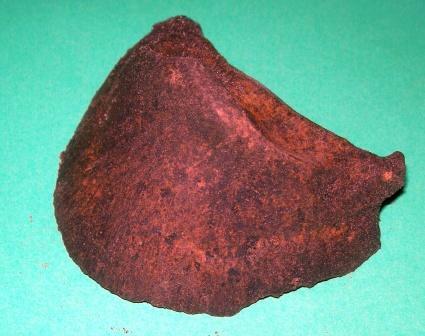 Geo-science from Sweden and in this particular case from Scandia is presented by Antimoitein a post called Cambrian Bronze Age. 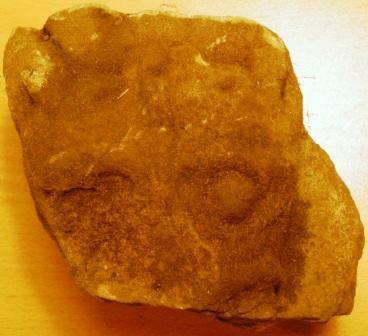 A post with some nice pictures of Bronze Age rock art from Simrislund. I’ve got tips on two separate post at Neuroanthropology, first; Pop goes the media – which is an interesting post on the difficulty of how research gets transformed and bastardized by popular media. The example in this case, linked to in the post, is a sociological research on the complex dynamics behind delinquency that in the media becomes a “biology-causes-everything” story. The second post regards one of anthropology’s consistent criticisms of psychology is the role of psychiatry in shaping psyches; the difficulty of studying a phenomenon when one is helping to create it and ones theories influence your subjects’ accounts. The post is a kind of neuroanthropologicalreflection on clinical psychology as bothresearch enterprise and world-making project, and the way the two come into conflict. John Hawks writes a post on his weblogabout teaching science and about Carl Wiemans view on teaching science; which interestingly enough points towards humanities as a model. Is it a rocket? Is it a Pseudoarchaeologists hypothesis? – No! – Yes! – Archaeoporn is discussing the popular belief that ancient civilizations were visited, created, or altered by ancient space-fairing astronauts. Martin Rundqvist has written a post with an anthropological angel; Hymen reconstruction and public health care. Four Stone Hearth is published bi-weekly, Wednesdays in odd-number weeks. 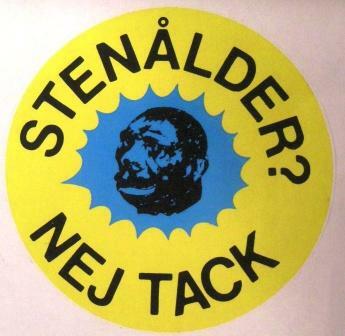 If you would like to host the carnival, please write to Martin Rundkvist (arador@[delete_this]algonet.se). If you would like to submit contentto the next issue of the carnival, please write to the keeper of the blog in question or to Martin. You are encouraged to submit other bloggers’ work as well as your own. At home again, at least for a while. Though I will miss working at Östergötland County museum, and I hope that I might return for more work, it is always good to be home. Over the last weeks I’ve been around Linköping and watching some scenic spots. Linköping is one of five medieval towns in the County and has been the centre of the church since at least the 12th century in Östergötland. Vreta cloister was founded in 1128 (just a few km west of Linköping, see this post) and the oldest parts of the dome is from the 12th century. St Lars (Laurentii) is the other medieval church within the city limits. 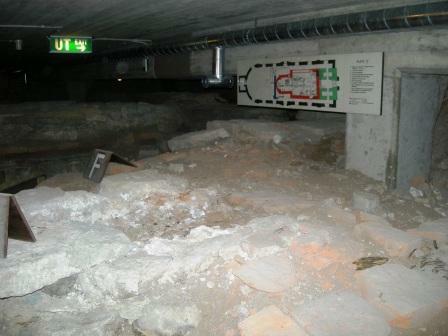 While the medieval church has been destroyed and replaced one can still visit the foundations of the medieval church, it has been excavated and preserved under the floor of the church. Underneath the floor one can see the walls and plan of the Romanesque church as well as a lot of the fins that have mead during the excavations here. 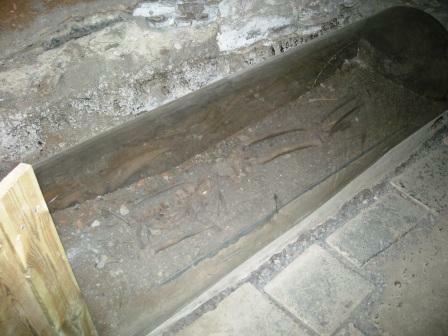 A grave underneath the medieval church. 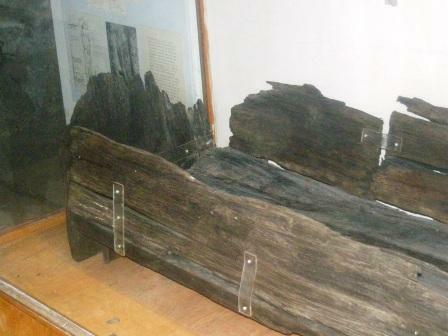 Among the interesting finds are two medieval coffins made of tree that has been preserved. At plain sight is the church tower that in part, the first three floors, is medieval. If you have the chance to visit the crypt aka the foundations of the medieval church it is a real treat. 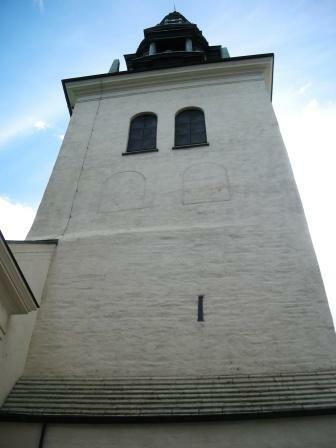 The medieval part of the tower goes up just below the tower hatches. 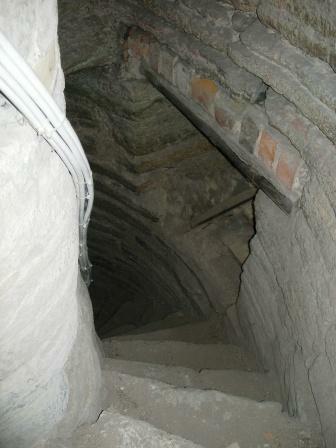 The stairs up to the first floor of the tower. On the wall one can see the where the old roof of the church has been. 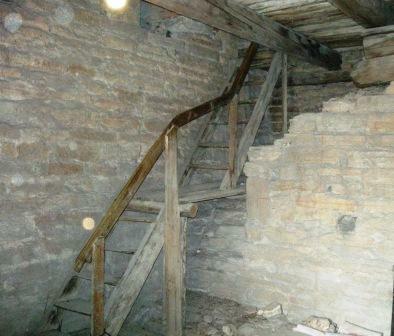 The stairs to the third floor. 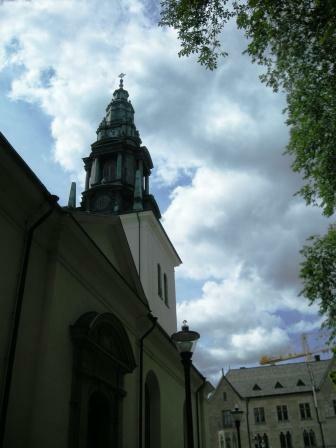 At the church and in the cemetery several sepulchral monuments called Eskilstuna kistor (cists) has been found. 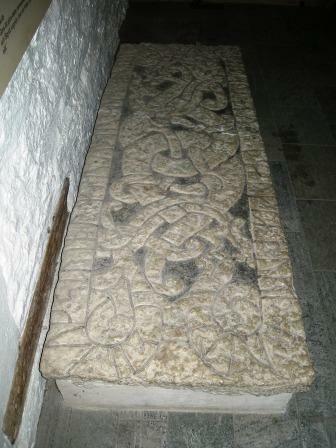 These cists are normally dated to the 11th century and are often decorated with ornaments that resembles the Viking Age and those found carved on Stave churches (more info here), if there is any inscriptions on them they are normally made with runes. This gives a strong indication that there has been an even older church before the Romanesque one, possibly a stave church. One of sepulchral monument found in St Lars. This one is on display on the ground floor in the tower. The dig is finished, it’s been dug! Then this excavation is over all that’s left is a few days of working with the finds, in my case produce a small osteologic comment on the bones found. There is a kind of sadness when one the last phases of a dig, as you excavate you kind of get familiar with landscape that you create. In this case the two houses and the cellar and you kind of desiccate it to a level where you where everything’s at. And at the final days when you bring in an excavator and deep digs it all to be sure that there are no older structures underneath, the reality that one has lived in for a few weeks or so disappears. Did we find anything older? Perhaps! 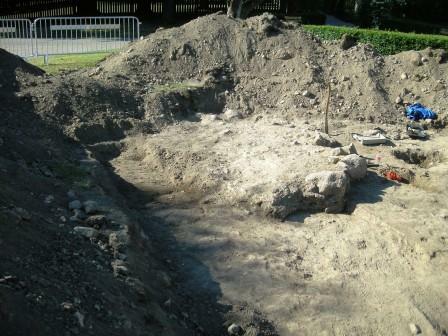 We found a hearth that might be prehistoric – but we’ll have to wait for the 14c analysis. 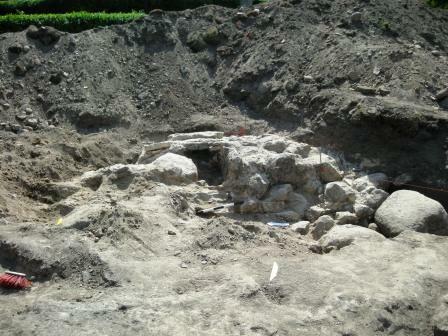 We also found a well underneath one of the houses; it is ca 3 x 3 meter large. We’ve dug about three meters in depth as well though we didn’t get to the bottom of it, the arm of the excavator wasn’t long enough. The well was filled with old building materials and such and had been so since before the house was built, so it’s older but probably not prehistoric. 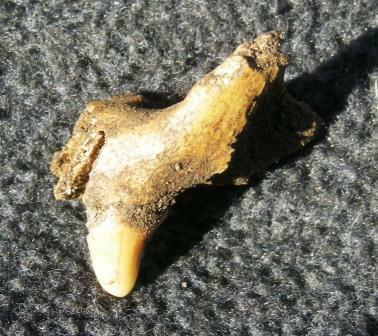 A horse hoof found within one of the houses! A bone from a frog, always fun to find small bones as well. A tool of some sorts, or rather a part of a tool, perhaps a stylus. The material is yet uncertain but it might be made of tortoise shell. 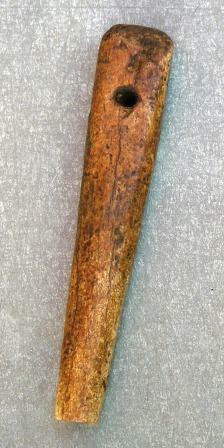 Another tool, made out of antler. Though the dig is done I’ve still got a few days of work in Linköping and I’ve got plenty of pictures so there will be a few more posts from or about Linköping. 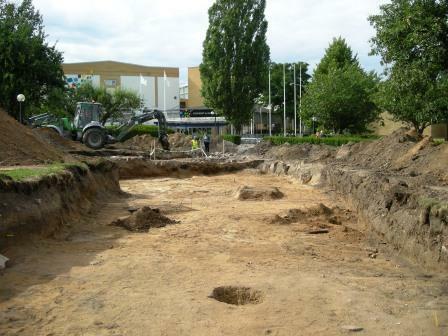 The excavation has been carried out by Östergötlands County museum. 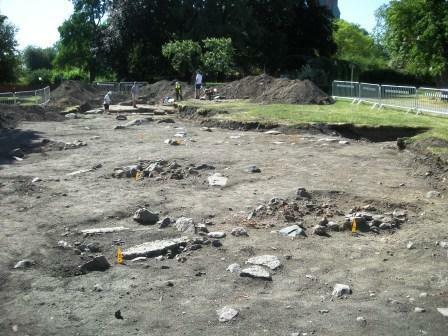 Another week has passed and on Monday we move on to the final week of excavations at Konserthusparken. This week has been dedicated to the constructions in the northen part of the shaft. We have dug down through the floor of one of the buildings and found several postholes and the delimitation of the structures, in the second “house” we more or less found the delimitations but we still need to dig through the floor. 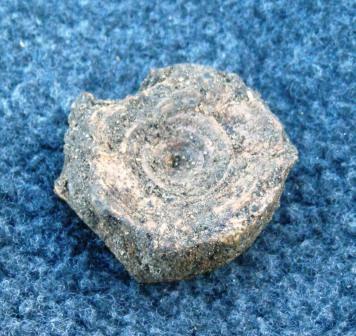 We’ve found several finds that helps us to date the buildings to the 18th century hence we do believe that they were erected for the purpose of the construction of either the bishops mansion, ca 1730, or in connection with work on the dome in the mid and late 18th century. 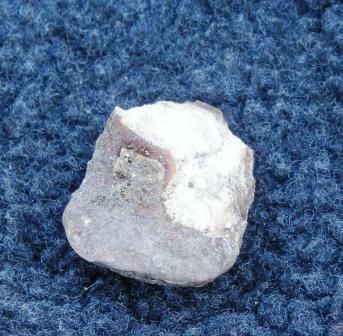 The finds constitutes of ceramic shards, animal bones, clay pipes and molten iron and glass slag. The iron slag indicates some kind of iron production or refinement though we have not found any further evidence for this except the slag. My favourite find this week is this part of a bone flute, I’ve found it at the bottom the floor layer and I think it is really cool. There is one more week of excavation then it seems as I might get a few extra days working with the finds, cleaning, washing, sorting and on top of that make a small osteological review of the findings. Next week I will attend a walk through of the medieval cellars of Linköping, very exacting and I hope for some great pictures, and I will visit the ruins of the 12th century church St Lars that actually are preserved under the floor of the present St Lars church, how cool isn’t that. I’ll get back to you with pictures, excavation results and more! For you who happens to read Swedish this article in the local paper was published on the dig. 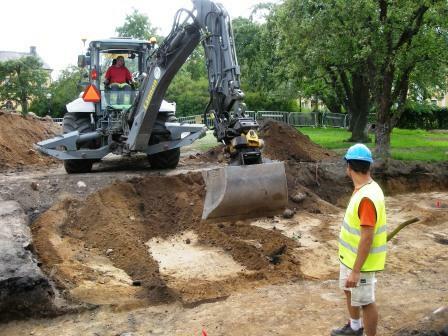 The excavation is being carried out by Östergötlands County museum. 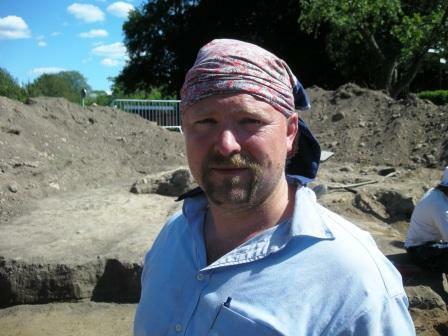 The sun has returned and makes us break sweat in the heat as the excavation continues. We’re in a bit of a hurry at moment, as often happens on exploration digs, so its full speed ahead. At the moment we’re digging our way through a floor to find the bottom layer and through this we hope to see what the different areas of the structures been used for, by studies of the finds and where they’ve been found. Here we are four archaeologists working on a line, all four of us doing hard archaeology; Christer, Hanna, me and Lena. A knife from the 16th or 17th century. 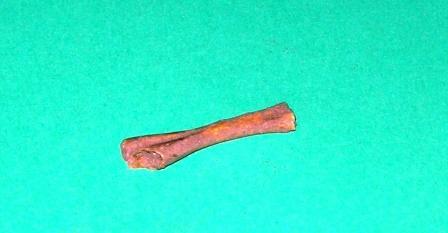 This bone is part of the maxilla belonging to a dog. Most bones we find on this dig belongs to cattle, sheep or goat, pigs and can be categorized as leftovers. On occasion we’ve found bones like this one that doesn’t belong to that group. A vertebrae from a cod shows that fish has been on the menu as well. In a big posthole I’ve been excavating for a few days we’ve found the remains of a large post, ca 3 x 3 dm that has been stuck ca a meter down the earth. In the filling we’ve found several stones from older construction such as this. 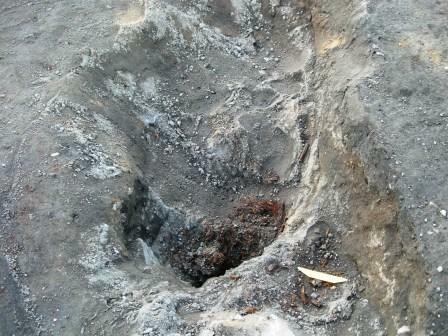 The posthole is ca 3 meters x 1 meter large and ca one meter deep. We believe that the post has been the main post in this building and that there has been smaller post along the walls that has hold a roof of some sort over the structure. The brown stuff at the bottom is the remains of the post, we’ve secured a large portion of it for possible analysis but it is quite rotten and very frail. I’ll summarize this week on Saturday. 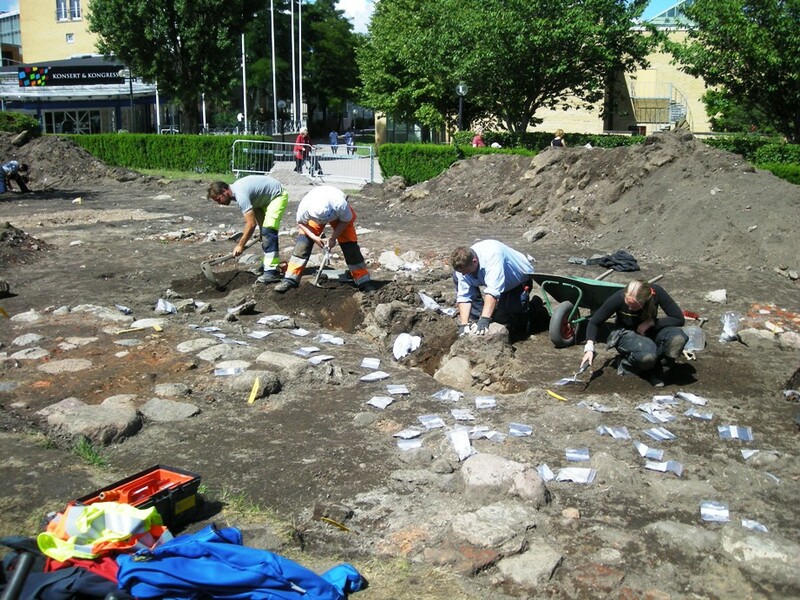 The excavation is being carried out by Östergötland County museum. It’s been a couple of rainy days, though still quite good days for digging. The rain has not been pouring down and the moist and the clouds have made it easier to read the different layers of earth. We’ve all moved up to the building structures in the north part of the shafts and are working hard to get these areas ready, we got approximately two and a half days per building. 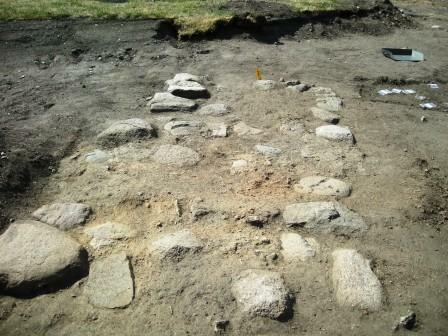 Today has given a few new postholes which helps us identify the outer walls. Otherwise it’s not much to report from the excavation at the present, but I’ll do a more in depth report at the end of the week or if something interesting comes by. 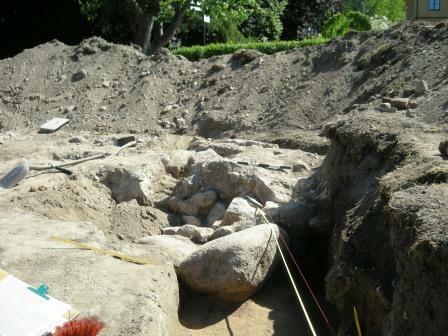 The excavation is beeing carried out by Östergötland County museum. As the weekend comes to an end we have done 7 days of archaeology in the Konserthusparken, Linköping (Me and Christer did two days last week as well). 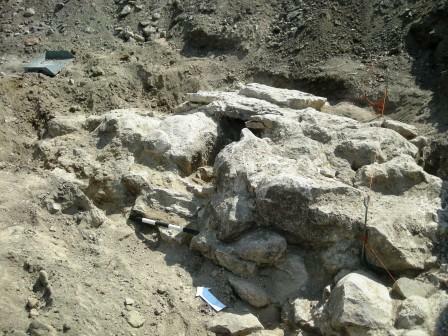 The excavation is going forward and some results are beginning to show. In the southern part of the shaft we have identified a portion of a rather large wall, possibly of medieval origin, that is connected to a cellar found in the 60’s. We are not sure of the dating but there are several factors that points us in that direction; the cellar that originally was dug in the 60’s was then dated to the late middle ages, though the bases of that dating is not entirely clear, the masonry seems to be medieval though the wall is quite destroyed so it is difficult to say for sure, to this we can ad one find; a small piece of stone with a relief of a lion or something similar (see pic below) that probably is medieval, the context of the find is not entirely clear. One of the details in the wall that fives it a medieval feel is a trench seen in the picture below. 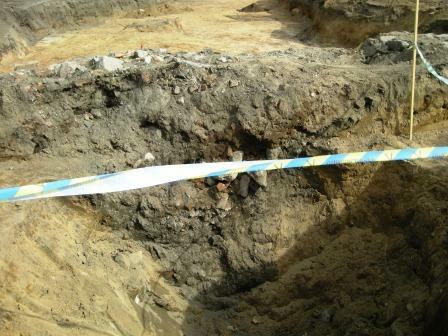 A difficulty in the southern part of the shaft has been to identify the different layers partly due to the fact that there seems to be two separate demolition layers and several disturbances such as pits for dumping trash such as broken pots, glasses etc. 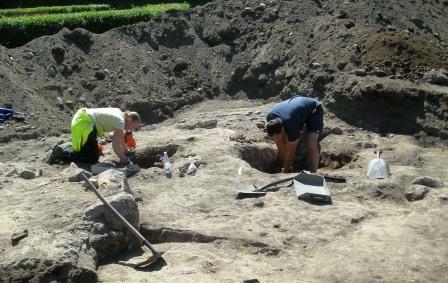 Archaeologists Lena and Mats excavating two pits. At the end of the week we started on the southern part of the shaft. A working hypothesis is that these structures are part of at least two buildings that were more or less temporary. There seems to several remains after different kinds of stoves/hearths. One of these has been cleared, as we did this we could see that it is probably two hearths we common delimitation, here we are currently looking for the northern outer wall of this building. A lot has been done but there’s still a lot do, next week we will probably concentrate on the northern structures and try to define limitations of the structures and the buildings as well as try to determine their individual usage. Currently we are four archaeologist working on this site and on occasion other archaeologists from the museum comes around and help out for a day or two. Here are the whole group; from the left Christer, Hanna, me and Lena. In translation; “Stone Age? No thanks” Now wouldn’t that make a great T-shirt? The excavation continues under a burning hot sun which makes it a bit difficult for two reasons; the heat makes it hard to work and the soil dries up which makes it difficult to keep the different the layers apart. In the southern end (the medieval part?) a lot has happened, in the beginning we believed that there were remains after two buildings, one of these is still considered to be a building while the other probably is part of a collapsed wall. The formation we earlier believed to be the remains of a building. 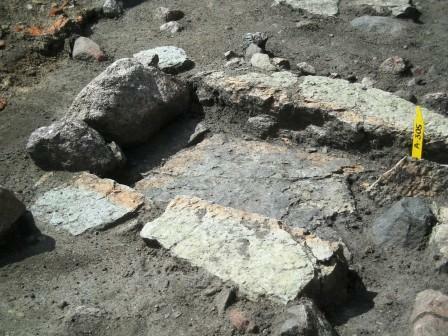 In front of the structure is what we think is part of a clay floor. 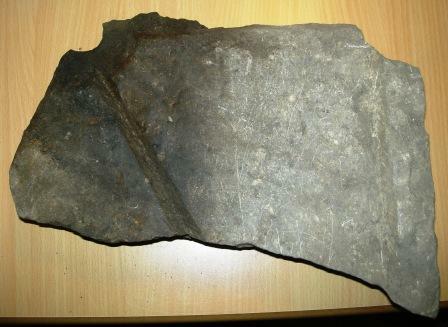 As you can see on the picture below we have identified part of a wall that we believe is connected to a cellar found in the 60’s that might be of medieval origin. 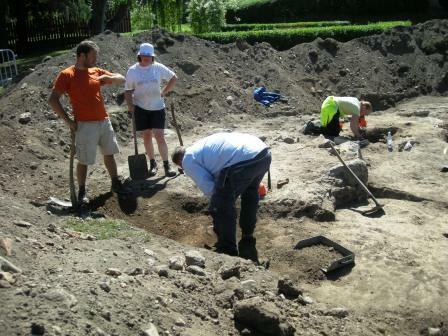 Today we also started on the structures from the 17th or 18th century in the northern part of the shaft. This is the remains of an oven of some sort, among the finds in the top layer are pieces of glass, iron nails, some ceramics etc. A more detailed report is planned for the weekend.